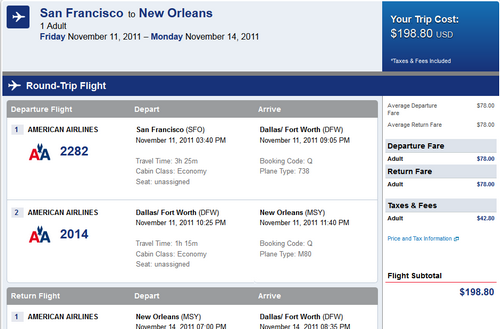 Nice sale from San Francisco to New Orleans. 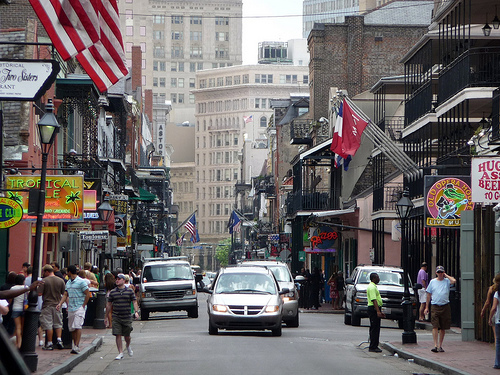 Also works from New Orleans to San Francisco. November 11th – 14th. Valid for travel until May, 2012. Use http://matrix.itasoftware.com and flexible month search to find exact availability. 3,814 miles or 5.2 cents per mile.